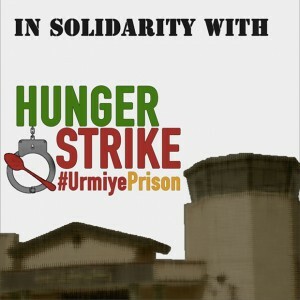 Today is the 22nd day where 29 political prisoners are on hunger strikes in Urmiye´s central prison. This hunger strike is a protest against transferring political prisoners to other wards and in addition, transferring some general crime related prisoners to Political prisoners’ ward. Youth and other organizations of PJAK (Free Life Party of Kurdistan) are holding demonstrations throughout Europe as a means of solidarity with the Kurdish political prisoners that are on hunger strikes in the central prison of Urmiye. Human rights activists and PJAK‘s organizations in Europe are calling all Kurds and freedom seekers in Europe to end the silence and become the voice of political prisoners all around the world. * PJAK committee will throughout Friday the 12th of December in front of Aarhus municipality, distribute information leaflets regarding the situation of the political prisoners in Iran. By the end of the demonstration on Friday evening, there will be a gathering for a further meeting.